The pheasants I have on hand are on the small side, already plucked, skinned and cut into pieces. Though convenient for some dishes, it also means I have fewer preparation options. I can debone and use the meat in pieces or, because they have no skin, either mummify them in bacon or slow cook them in a dutch oven or tajine. I often choose a slow cook method because the results are not only very tasty, but such dishes are easy to make. For those of you who may not know what a tajine is, it’s basically a funny looking clay pot used in north African cooking. The bottom portion is a shallow dish. The lid is shaped like a cone with a knob. A small hole near the top releases just the right amount of steam resulting in the most incredible aromas coming from the kitchen and both tender and moist offerings under the hood. 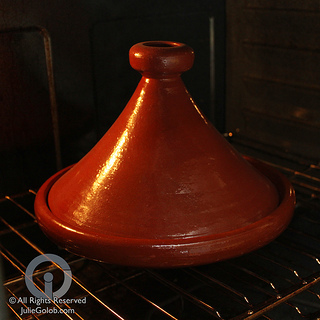 Traditionally used on a fire, modern tajines can also be used in the oven. If you don’t have a tajine, you can make the same recipe in a dutch oven or even try it in a crock pot. If you like slow cooked meals though, you might want to add one to your wish list. Not only does it make a great meal, but a tajine is a nice conversation piece to display and use for entertaining. Now, I don’t have a plethora of spice and vegetable options where I live, but I did score some Meyer lemons at a large grocery store on my way home from SHOT Show. I have read about these little gems, a tangy and sweeter version of the lemon, but I confess I have never cooked with them. Many tajine recipes call for preserved lemons but I didn’t have any of those lying around and I didn’t have three weeks to prepare them either. So, to counter the sweetness and mimic the saltiness of preserved lemons, I tapped into my green olive supply. Rinse and pat dry the pheasants. Chop and slice the garlic, shallots and two of the lemons. Add the olive oil to a pan set at medium/high heat. When rippling hot, add pheasant pieces and let cook for 2-3 minutes for a good sear before flipping and searing the other side. 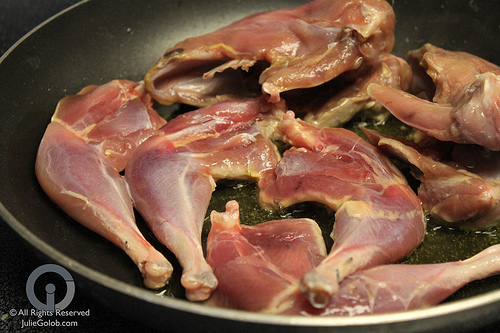 Remove the pan from heat and place pheasant pieces in the tajine. 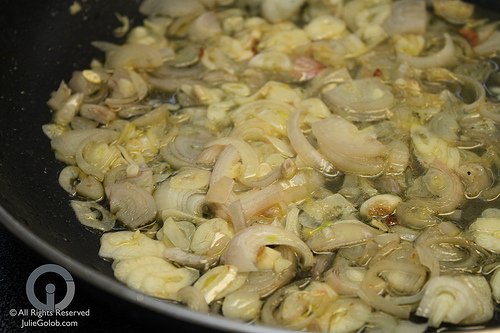 Return the pan to the stove at medium/low heat and add garlic, shallots, salt and the juice of two lemons. Pour the wine into the pan and add the saffron, letting all simmer for a couple of minutes. 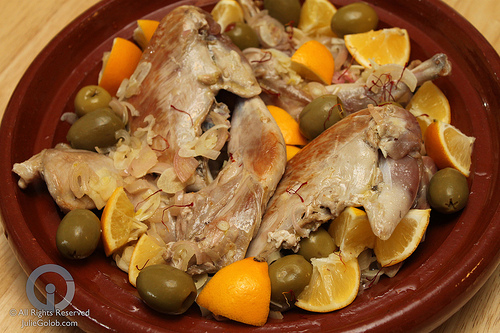 Add the olives and lemon pieces to the tajine with the pheasant. Pour the contents of the pan into the tajine, place the lid on top and put in oven to cook for 3 hours. Serve pheasant on a bed of baby spinach leaves with couscous, spooning hot tajine juices over the entire dish.